All of the National museum of Rome situated in Rome and Vatican City are some of the most important museums and art galleries in the world. All of the Museums in Rome contain vast quantities of priceless art, sculpture and treasures, which are mainly stored in its many Rome museums. Studentsville.it has selected the best museums in Rome during your visit to the capital of Italy, even if your travel itinerary only allows for a couple of days. We would suggest to take a look at the Rome Museum Pass (http://www.romapass.it) so you can avoid wasting your time waiting in line. You can book your tickets and have an easy entrance to some of the most important Rome art museums. You can either choose from a ticket valid for 48 or 72 hours and that offers you an unlimited free access to the urban public transport. Giving you direct access to the Museums in Rome Italy included in the list you will find on the site of Rome Museum Pass. You can spend your days exploring the beauties of the city and if you are a modern art lover you can visit the Modern Art Museum Rome, where you will find fewer crowds and 75 rooms to visit, including sculptures and paintings. Afterwards you can relax at the lovely cafe that overlooks the park. The Borghese Museum Rome is inside Villa Borghese and has some of the most famous and exquisite works in terms of paintings, sculptures and architecture. It is known for having one of the best collections of art in the world! The Borghese Museum Rome only allows 360 people inside at one time which means you must reserve in advance. The Capitoline Museum Rome is along the same lines as the Borghese Museum Rome, and the Vatican Museum, as one of the more popular Rome museums. The Capitoline Museum Rome is situated in the Piazza del Campidoglio with its wonderful white monument of Vittorio Emanuele II. The Capitoline Museum Rome is one of the the world’s oldest national museums founded in 1471. In Rome you can also find the Jewish Museum Rome, which is situated in the Great Synagogue of Rome that includes a wide collection of art produced by the Jewish community. If you visit the Jewish Museum Rome you can have a guided tour of the Great Synagogue and of the smaller Spanish Synagogue. There are certain days like Christmas Day in which the entrance is free for all the public. 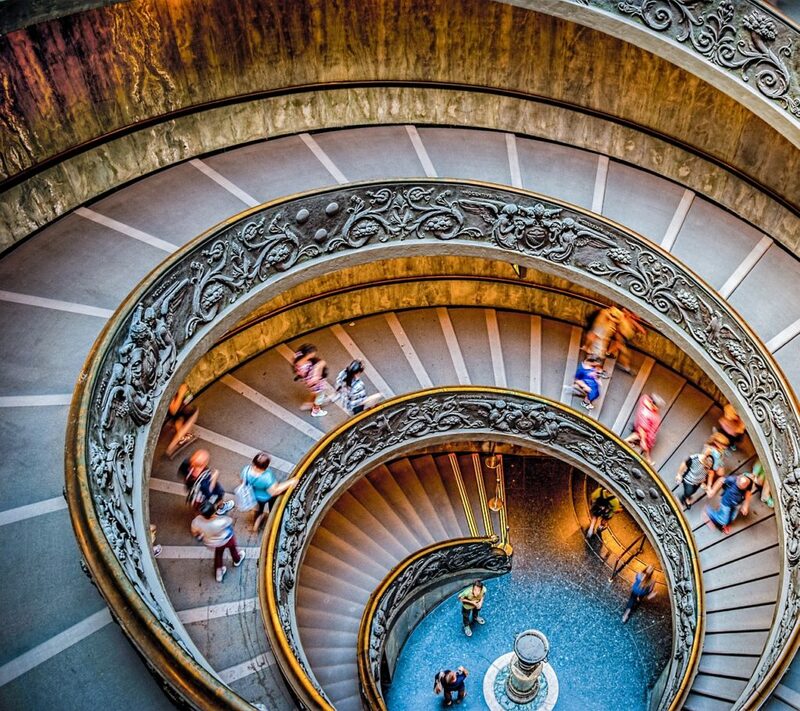 On the last Sunday of each month, the entrance to the Vatican Museums and to the Sistine Chapel is free. Students (aged between 18-25) can in most cases, have discounts when buying tickets. The Galleria Borghese is one of the most famous and prestigious museums in the world. It houses sculptures by Bernini, Canova and other great artists. The Capitoline Museums are located in Piazza del Campidoglio. They constitute Rome’s main municipal museum. Find out about the opening hours, tickets and much more. That includes the Museo dei Fori Imperiali a construction of the Fori Imperiali, the Foro di Traiano, probably by the emperor Domitian. Virtual reconstructions that “immerse” the visitor in the Pleistocene world that has a preserved part of an ancient river, dated about 200,000 years ago. It was the residence of Emperor Maxentius, it is a extraordinary archaeological complex. Situated in the former Pastificio Pantanella, recreating the medieval and modern history of the city. The permanent collection of the Museum is all about the salient aspects of Roman popular life from the late eighteenth century to the second half of the twentieth century. Torlonia villa hosts exhibitions on its former owner, Mussolini, with an art museum in the garden. Virtual reconstructions that “immerse” the visitor in the Pleistocene world that has been preserved a part of an ancient river, dated about 200,000 years ago.